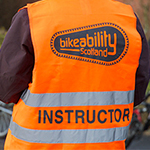 If you want to train up as an instructor to deliver Bikeability Scotland in a non-school setting, you can book yourself onto a training course here. If you're going to be delivering the training to adults, there will be usually be a cost associated with training as an instructor. If you'll be delivering to children, you may be able to get a funded place on a course. Please contact us directly to discuss this at bikeability@cycling.scot. 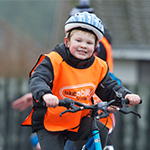 Please also contact bikeability@cycling.scot directly if you need any resources for your training. Find out about the course options.